You can not get bored. There will be a new quest and challenges. Do you hear those bells ringing? Santa is coming to town! We must prepare for his arrival. Have you ever decorated your city? • he has asked the children to prepare the lists of gifts they want to receive. But not all children can write and they can use your help. They count on you! 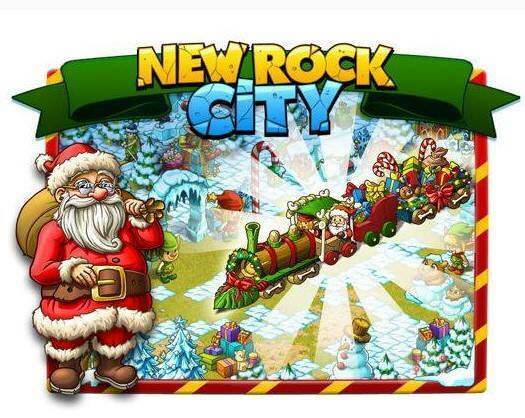 • We all agree that Santa Claus is always welcome in new rock city - not just in winter. There is an idea to build him a house where he can stay whenever he wants. There will soon be consultation in the city. 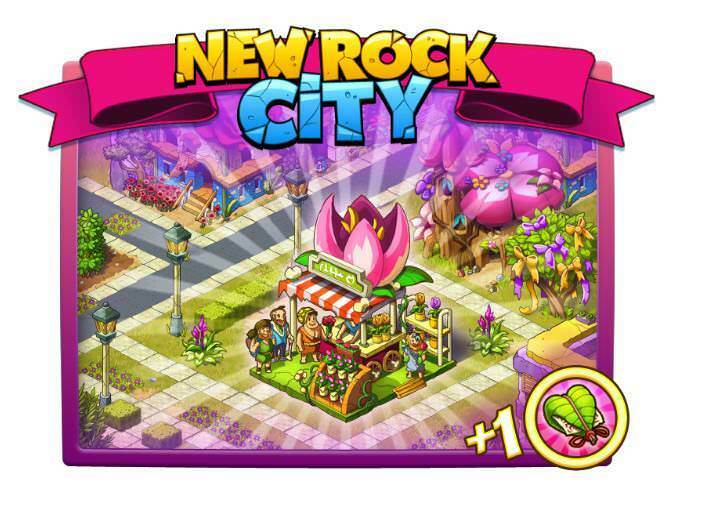 Visit the city of new rock city often, not to be missed! Do not miss the new events and claim your rewards! we can’t let you get bored. New quest and challenges are just coming! The whole city is occupied with Christmas preparations. Everyone wants their houses to smell like gingerbread, orange peel, and cinnamon. If you haven't started preparing yet, it's about time! New Rock citizens didn't spot the Lizard King for a while. I hope he doesn't want to spoil Christmas. Could you investigate it? Soon we'll be also celebrating New Year's Eve. It's a great opportunity to rest and have some fun. We need to throw a decent party. I know, that you're the right person to organize a pleasant celebration. Can I count on you? We wish you a Happy Christmas and a wonderful New Year. Don't miss the new events and claim your rewards! This year's winter takes its toll. It's pretty easy to fall ill. What's worse, the streets and houses are covered with snow. It's extremely important to support your neighbors. Go and check if they don't need your help! Fortunately, there is also a positive side. Citizens take advantage of the situation. Little Susie plays with snow and Rockefeller learns how to ski. I am also stunned by the beauty of New Rock City covered with a white blanket. I think I will decorate it for this occasion. You should too! I almost forgot! Snow Queen's birthday draws near. We need to come up with something special for her. Unfortunately, nothing comes to my mind… Can you help me? Rockefeller owns multiple companies in New Rock City. He's a good manager and knows, that there's always room for improvement. This time he'd like to advertise his businesses. You know what they say: advertising is a must. You have to check what he came up with! Rockefeller is looking for creative people who could join his advertising agency. Roxanne and the Journalist have already applied for the job. I'm sure, that a person with your skills would be a valuable asset to their team. You should join them! 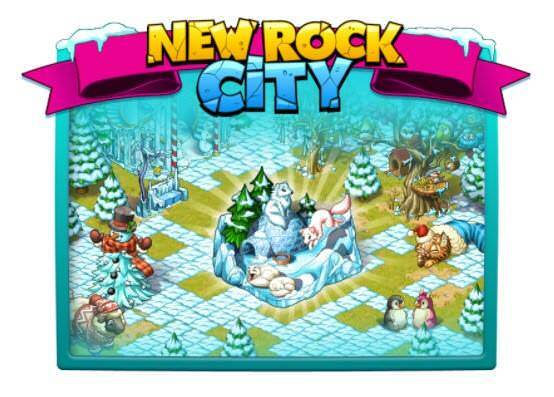 The winter is hard on New Rock Citizens and everyone wants it to end already. As if out of spite, all the groundhogs are gone. They could always predict the arrival of spring. You need to team up with Sherlock and Holmes to find them! Costumes, food, decorations, and new dance moves. The Carnival party requires advanced preparations. Is your City ready for the celebration yet? The Lizard King announced, that he will attend New Rock City's Carnival party. Although he's known for causing troubles in the past, it's not polite to slam the door in his face. Nevertheless, you should keep an eye on him! The Advisor is looking for the oldest couple in New Rock City to present them with a gift for the upcoming Valentine's Day. There are two things he'd ask you to do: help find such couple and come up with the idea for the gift. Can we count on you? New quests and challenges are just coming! Participate to receive a LOVE LETTER! Women's Day is at hand. 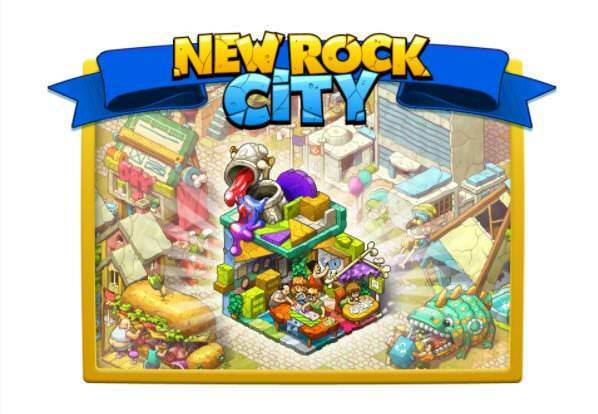 I wonder if New Rock City's men remember it. What do you think? We better wait patiently and find out! We have received a letter from a friend, who didn't visit us for a long time. I haven't opened it yet, as I was hoping, that you could do the honors. Can I count on you? Shamrocks, green drinks and clothing, and celebrations. Can you guess, what event is coming? It's going to be fantastic! Unfortunately, Irish Gnome who is supposed to visit New Rock City doesn't feel well. Be aware, he might need your help soon! New quests and challenges are coming! • Winter is coming to an end. 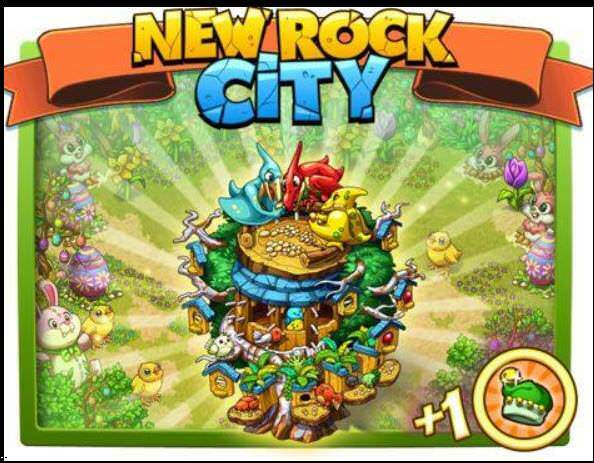 It's time for birds to return to new rock city. Pythagore found the idea of a new bird feeder. He needs your help to create it! - Oh, no. Birds are afraid of predators around the city. We must act quickly and get rid of them! Can you handle it? 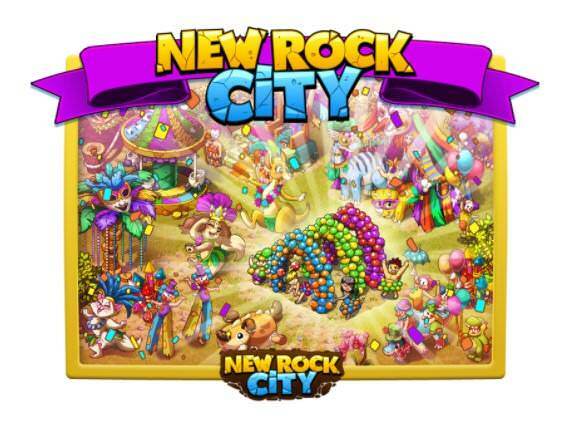 • Easter bunny is jumping in new rock city. He told me in secret that he made us some wonderful attractions. I wonder when will he finally arrive? I guess we have to check it out a lot.